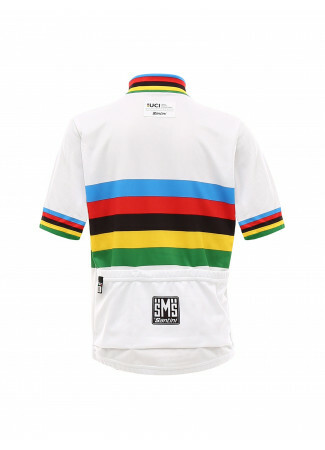 UCI world champion short sleeve jersey. The one and only, signed by Santini. New design, unique across all disciplines. More than that, is the dream of all cyclists, to reach the most important victory. Wearing it means wearing more than just a jersey. 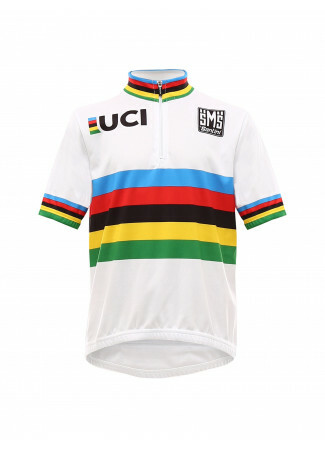 The UCI logo has gone through a complete restyling, and so it was for this jersey. 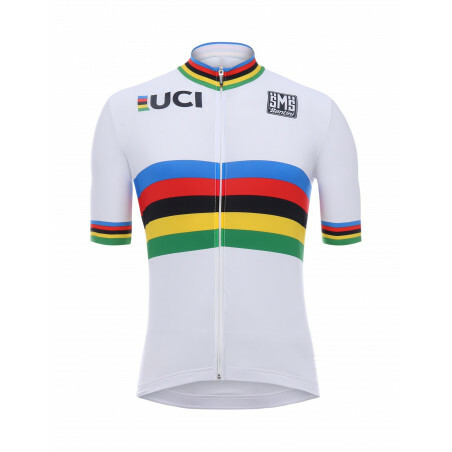 From this year you will not see different designs for different disciplines, because all the world champions, from road to MTB, until Cyclocross, will wear only this jersey! With all these changes, even the restyling could only be complete. 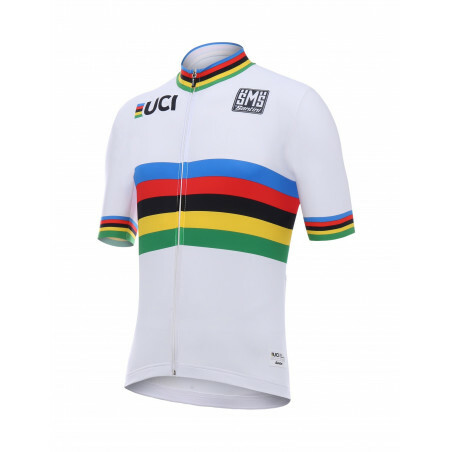 A new design with the rainbow colors on the chest, collar and sleeves, and especially new materials and cutting! 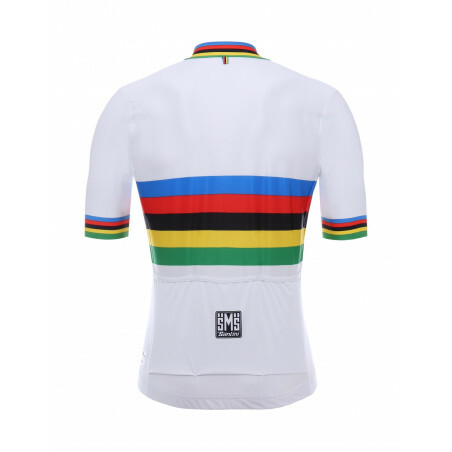 Made of lightweight Kontatto fabric on the front, this short sleeve jersey features back and sleeves in Cyber ? 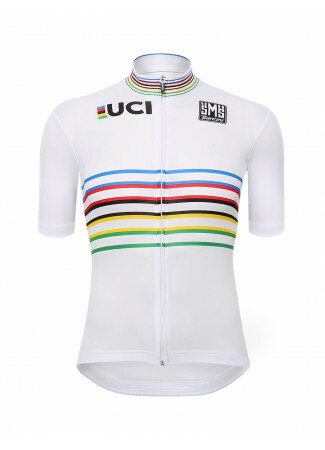 ?Rider fabric, incredibly lightweight, breathable and stretchable! 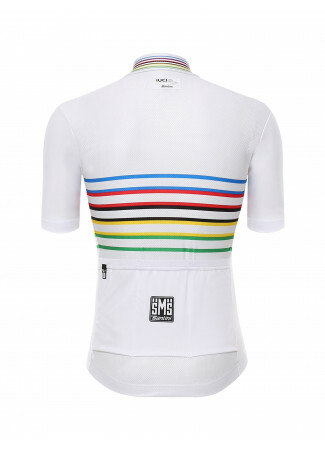 The raw cut sleeves are made in incredibly elastic and comfortable Bodyfit fabric. With a useful long zip and triple back pocket, perfect for storing gels and bars!